Across the country, everyday people are sick and tired of a status quo that fails to address the real issues facing our communities. We saw an opportunity to fight for real progress in Santa Clarita, tackling problems like homelessness, the opioid epidemic, and environmental issues threatening our city and our families. We also realized it's not enough to just plug the holes on a leaking ship. We need to strive for a better future, and that future isn't defined by five people in a council chamber. It's up to us to build the future our families deserve. 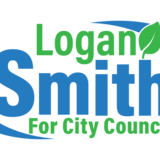 You may receive updates from Logan Smith, the creator of this fundraiser.